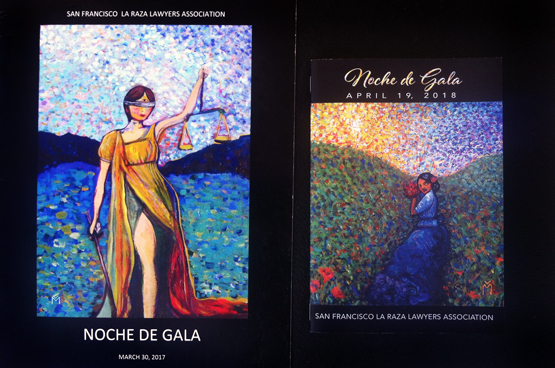 Recently featured again on the program fundraiser for The San Francisco La Raza Lawyers Association’s ‘Noche de Gala’, Violeta Moreno’s artwork, Anita Primavera” (Acrylic on canvas, 12″ x 12″), is featured on the cover. Her face is a symbol of indigenous people, and the landscape behind her is native California. “The Third Eye of Lady Justice” is an embellishment of the giclee made from the original I painted in 2014. Check out the huge difference in the original acrylic and the embellished giclee. 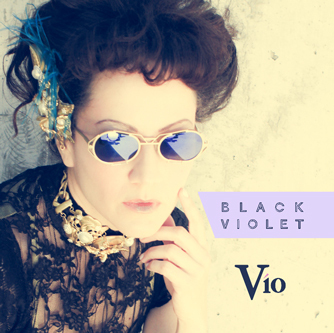 This entry was posted in Art, Press. Bookmark the permalink.